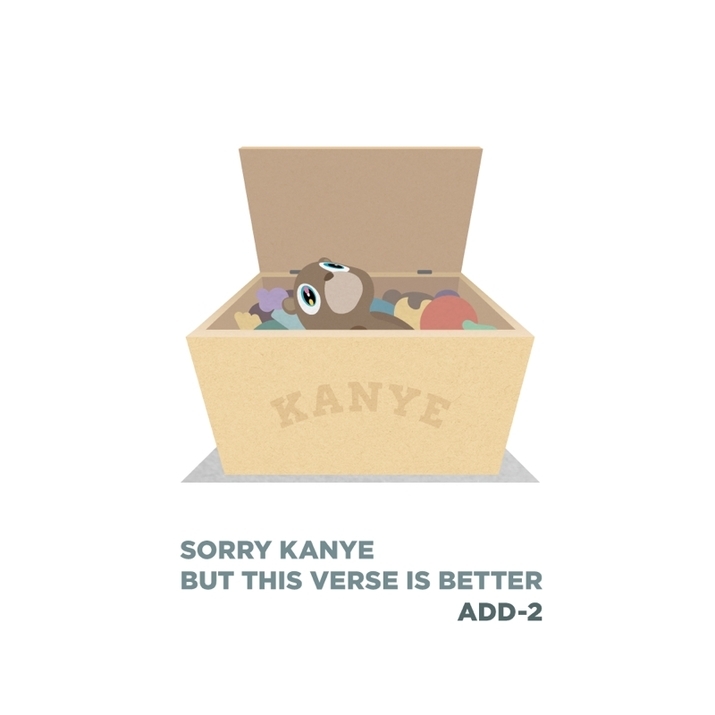 Add-2 – "Sorry Kanye But This Verse Is Better"
Don't call it a diss and surely don't call it a miss. When Kanye West, in a rare social media appearance, took to Twitter in late July to proclaim, "The 2nd verse of New Slaves is the best rap verse of all time….meaning … OF ALL TIME IN THE HISTORY OF RAP MUSIC, PERIOD,” he opened a loaded can of worms and kicked off an epic rap debate. While writers, bloggers and Ye fans, stans and haters alike eagerly took to deconstructing, analyzing and critiquing his tweet a particular rapper took to the booth to do the unthinkable — prove Yeezus wrong. Hailing from Ye's own stomping grounds of Chicago, Add-2 is no stranger to taking artists to task in his songs but his latest track aptly titled and clearly aimed at Mr. West "Sorry Kanye But This Verse Is Better". Making the unorthodox decision to not spit over Ye's Travi$ Scott produced "New Slaves" instrumental, Add-2 goes bonkers over an INTL MC produced beat spitting some of his most venomous. While a response from Mr. West regarding Add-2's "Sorry Kanye But This Verse Is Better" is highly inprobably we can all enjoy the sheer bravado displayed by an artists taking the self-proclaimed greatest rapper of all-time to task.Stream "Sorry Kanye But This Verse Is Better" below and check out Add-2's latest project, More Missed Calls . “Sorry Kanye But This Verse Is Better"
BJ The Chicago Kid & Add-2 soulfully end their groupies' "15 Minutes Of Fame"
Add-2 – "Ain't Sh*t Change"